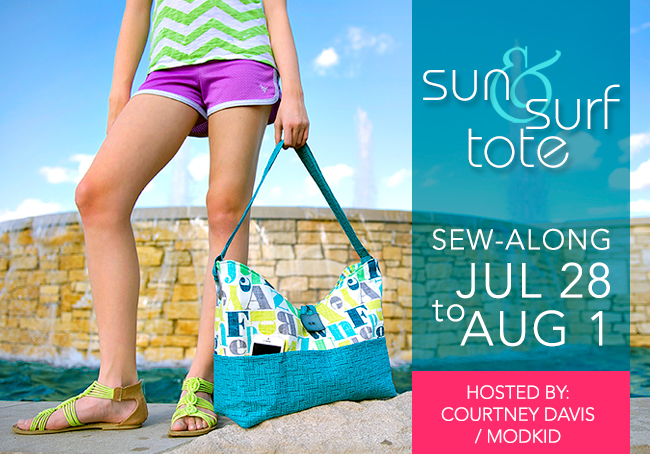 Welcome to Day 2 of our Sun & Surf Tote Sew-Along! Hopefully you’ve completed Day 1 where we cut all the rectangles, stabilized our fabric, and cut the V shapes. Now we finally get to sew! Today we will complete the outer and inner pockets. Note: Use 1/2” seam allowances unless noted otherwise. Place the inner pocket pieces right sides together and stitch all around leaving a 2” gap at the bottom long edge for turning. Clip all the corners close to the stitching without cutting the stitches. Turn the pocket right side out and press well. Topstitch 1/2” from the top long edge. Your gap for turning should be along the bottom edge. 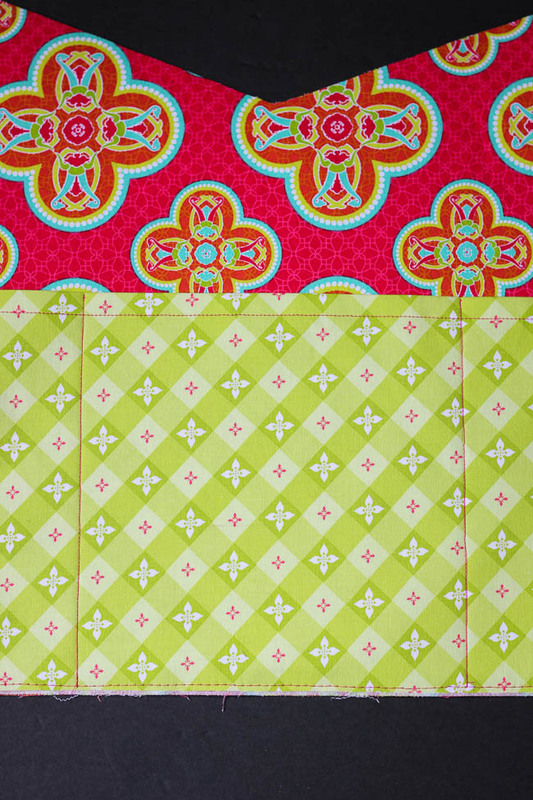 Center the pocket on a tote lining piece and stitch 1/8” from the edge on the sides and bottom, leaving the top edge open. This will close the bottom gap. 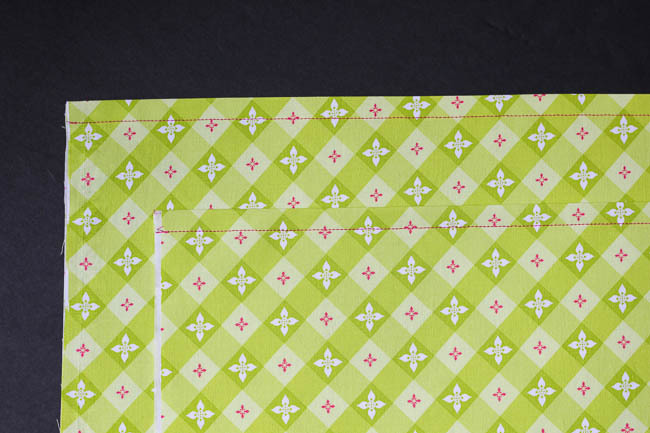 Stitch a vertical line 4” from the left edge of the pocket to divide the pocket in two sections. 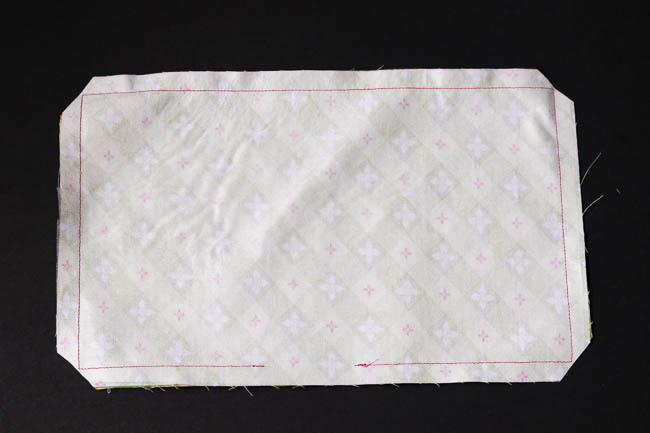 Place one interfaced and one non-interfaced outer pocket pieces right sides together and stitch across one long edge. Repeat for the remaining two pocket pieces. Turn right sides out and press. Topstitch 1/2” from the sewn top edge. Repeat for the other pocket pieces. 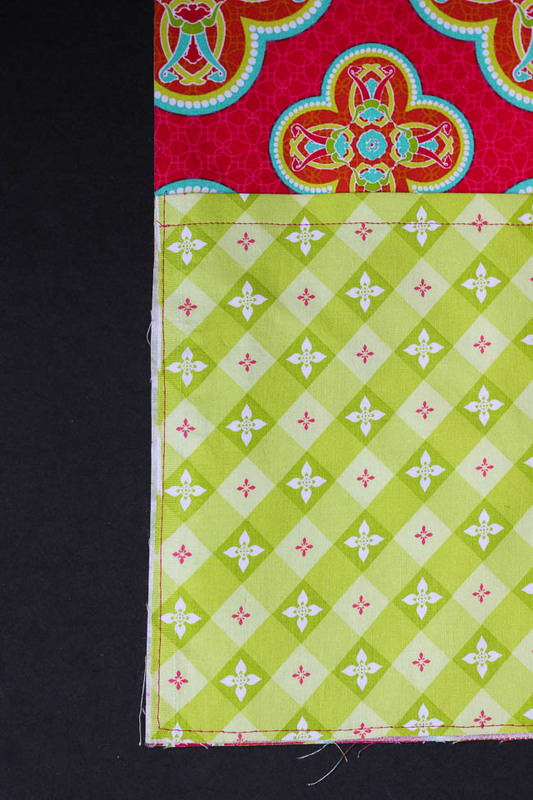 This is the time to add any desired embellishments to the pockets such as ribbons or trims. 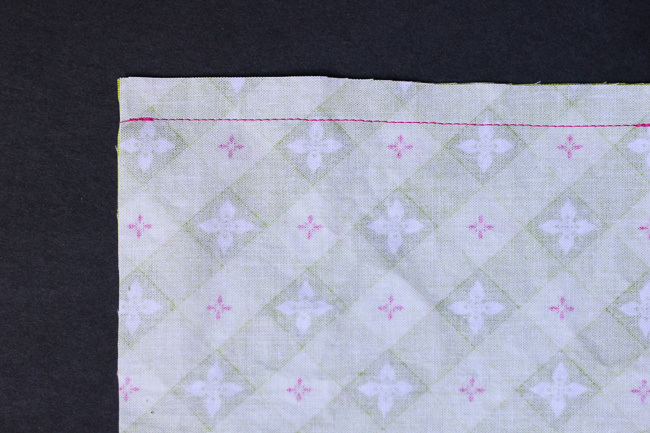 Place one outer pocket on one main tote piece with the pocket’s finished edge at the top and all raw edges aligned. Baste 1/8” from the sides and bottom edges leaving the top open. 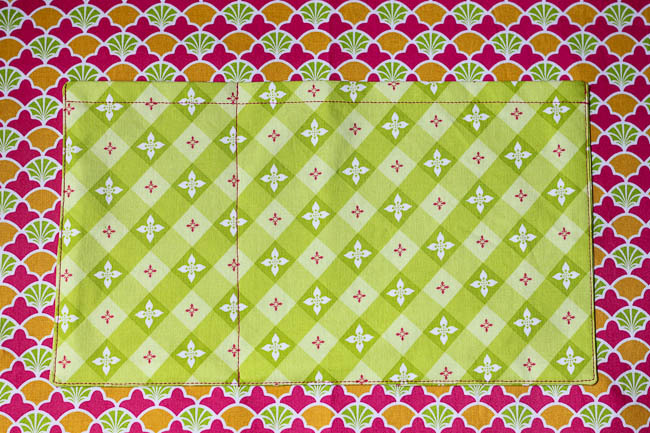 Repeat for the remaining outer pocket and main tote piece. 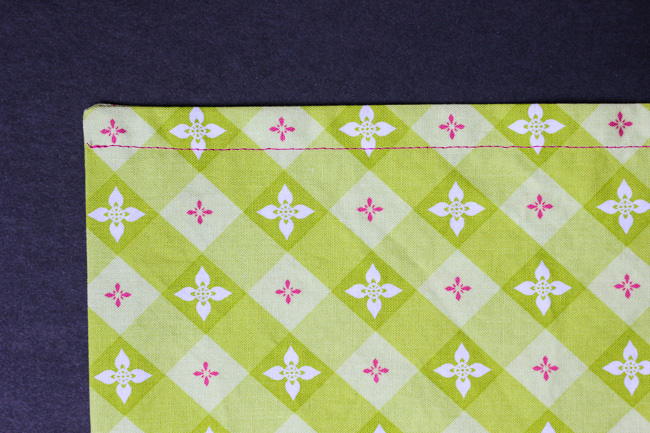 Stitch a vertical line 6.5” from the left and right edges of the main tote piece to divide the outer pocket into three sections. Repeat for the remaining pocket / tote piece. Doesn’t it feel great to see your tote coming together! See you tomorrow for more! We’d love to see your progress!! Show us your photos in our Flickr group or Facebook group. You can also share photos on Facebook and Instagram tagged #sunandsurfsewalong.